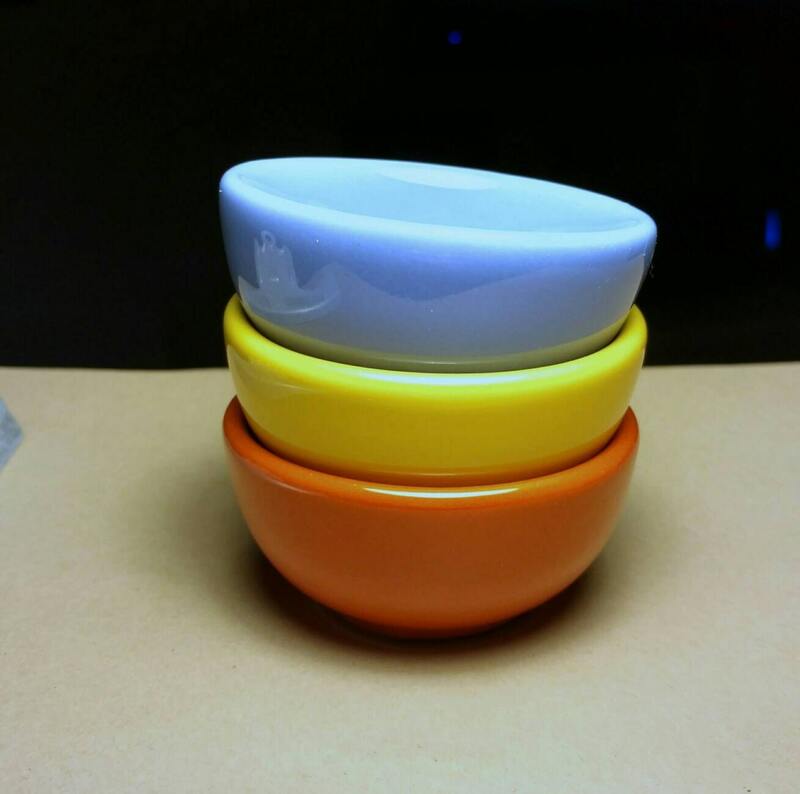 These fantastic little ceramic bowls are 2 oz in size. 2 5/8" in diameter and 1 1/4" high. Just perfect for filling with salt and pinching into your favorite dishes or onto your food. There are a variety of beautiful saturated solid colors. These adorable little bowls are equal parts chic and fun. They are dishwasher and microwave safe as well as lead free. The colors that are available are listed in the drop down menu. They are perfect for small pet food bowls as well.